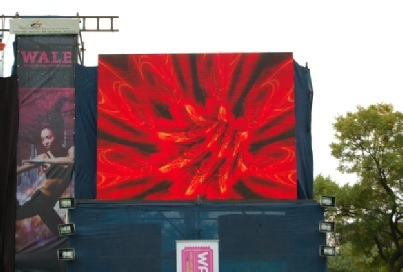 Our outdoor 16mm pixel pitch screens are made up of lightweight panels 1024mm x 768mm allowing us to create from small to large standard screens or a variety of interesting different formats. Our 12.5mm virtual (25mm pixel pitch) screens are made up of panels 1200mm x 1200mm which can be configured into screens from 3.6m x 4.8m. Due to there unique dimensions they work very well as background on stage for fashion shows, corporate events or any other functions where normal stage “flats” would have been used. 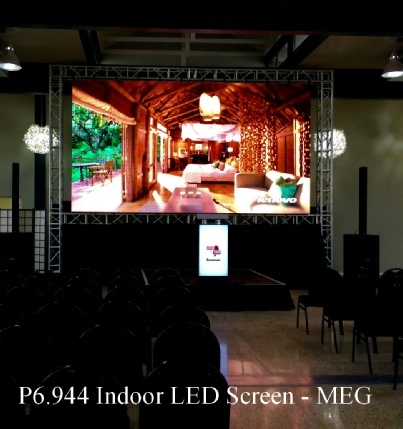 Our Indoor P6.944 SMD screen is light weight, high contrast (Black LED’s) and High res screen suitable for a variety of applications. Works well for presentations in high brightness areas, ie marquees, glass walled rooms and where stage lighting is being used. Makes a stunning stage backdrop to set scenes or create the atmosphere.